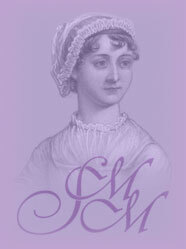 Clothing from the lifetime of Jane Austen (1774-1817) is encouraged, but not required. This means that anything from the period of the American Revolution, through the French Revolution, and the Regency/Empire/Federalist/Napoleonic Wars era is welcome. While we ask that you wear something presentable, costumes of all social classes are invited and military uniforms of all nations, including the French and the Americans, are welcome. If a gentleman should arrive in a uniform, we will not be so ungenteel as to inquire if he is the enemy. 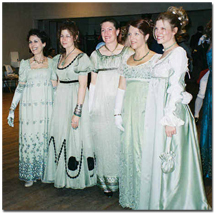 But, if you lack period attire, this should not dissuade you from attending. 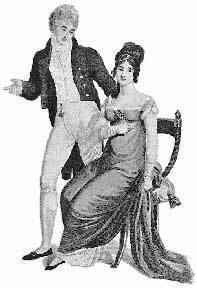 Feel free to wear modern formal wear or Victorian formal wear, if that is all you possess. Formal wear is required. We don't endorse any specific costume sales or rental company.